Seven, a groundbreaking documentary play, will make a Nigerian premiere in Abuja. Seven portrays seven women’s rights activists from around the globe, including Nigerian advocate for women’s rights, Hafsat Abiola. In an international tour of staged readings, Riksteatern (The National Touring Theatre of Sweden), the Swedish Institute, the Swedish Embassy in Abuja together with NAPTIP (Nigerian National Agency for Trafficking in Persons), presents SEVEN as a staged reading in Abuja on November 15 and November 17. The cast includes Nollywood actor Carol King in the role of Hafsat Abiola and Swedish ambassador Maj-Inger Klingvall in the role of Inez McCormack, a peace and equal rights activist from Northern Ireland. “I am proud to present Seven together with Nigerian and Swedish partners. When actors and government officials come together on the theatre stage it shows that theatre is a vital arena for the discussion of democracy and women’s rights. 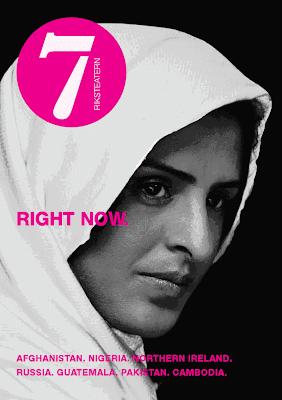 I am especially delighted to be doing Seven in the home country of Hafsat Abiola, who is portrayed in the play”, says Hedda Krausz Sjögren, producer and artistic director at Riksteatern. 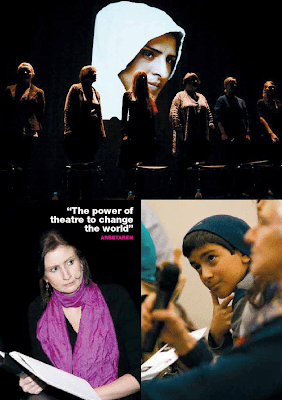 To date Ms. Krausz Sjögren has directed over 200 politicians, actors and profiles of civil society in the Riksteatern tour of staged readings of Seven. Seven has toured several countries including Sweden, Turkey, Great Britain and the US, where Oscar winning actress Meryl Streep was featured in the role of Inez McCormack, from Northern Ireland. Hafsat Abiola will be present on both occasions. Seven is presented in connection with “Conference on Trafficking in Human Beings for Sexual Exploitation & Prostitution -The Swedish and African Experiences”. Sven-Axel Månsson, professor at the Faculty of Health and Society, Malmö University, Sweden, reads Mu Sochua. Maj-Inger Klingvall, ambassador and senior advisor at Swedish Foreign Office, reads Inez McCormack. Thomas Ahlstrand, senior prosecutor at International Public Prosecution Office, Gothenburg, Sweden, reads Annabella De Leon. Jennifer Osammor, actress, shortlisted for Best Actor (Male & Female) in The Future Awards in 2009, Lagos, reads Mukhtar Mai. Emem Obonguko, Phd student of Dramatic Arts, University of Abuja, reads Marina Pisklakova – Parker. Carol King, actress, appearing in leading roles in MNET produced series including "Edge of Paradise" and I need to Know", Lagos, reads Hafsat Abiola. ..mmhh det gor bra.!! ja gilla det! lycka till..! !